Roman Republic. Q. Titius. ca. 90 BC. Size : 18.7 x 19.7 mm. Weight : 3.47 grams. Grade : aVF, lightly toned. Areas of soft strike. 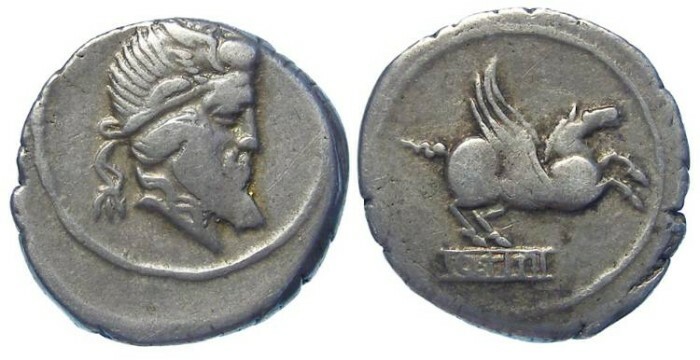 Obverse : Male head with a long beard and winged diadem. Reverse : Pegasus flying right, with Q TITI below on a tablet.